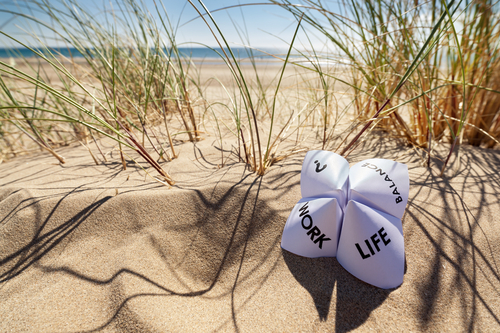 Everyone is talking about the importance of work-life balance. But what does that really mean, why is it important? And how does one achieve it? 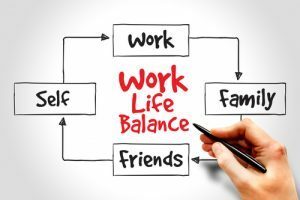 The work-life balance is a concept that incorporates the proper prioritizing between work, which includes careers and ambitions, and life, which includes health, leisure, family etc. Creating the right balance between these two pieces can be complicated, but is dependent on each individual for what is the correct balance. Some individuals’ perfect balance is more life and less work, where many other individuals find balance in the exact opposite. However, no matter what the perfect balance is between work and life for any given person, having this balance is important to everyone in relation to their ultimate success. The work-life balance is important because when an individual’s life is organized and balanced they feel happier and more energized. They are able to accomplish more, in less time, while focusing on the significant things in their lives. These significant things include the goals that are important to them. All of these benefits combined, allowing for focus, determination, and health leading an individual to their ultimate success. Learn to eliminate negative and stressful things from your life. By eliminating the thoughts and things you do not want in your life, you make room for and attract and attain the thoughts and things you do want in your life. Delegate tasks to increase balance in both your work and life. Outsourcing certain tasks can reduce your stress and increase your positive thoughts and energy. Do the things that make you happy. Spend some time figuring out what things in life bring you the most joy. Whether it is hiking, reading or exercising, identify these activities and do them more often. Spend time determining your goals and aspirations, which can be very inspirational and informative. Once you have goals and aspirations you can put together a plan, that compliments your work-life balance to achieve them, ultimately helping your overall success. Plan ahead to make work and life easier. Create lists and schedules that allow for your work to get done while enabling you to enjoy your life as well. The better planned your days are, the more you will be able to accomplish. With the goal of achievement and accomplishment of ultimate success, the first step is an effective work-life balance. When our lives are balanced, we develop healthy habits in both work and life. We can get more done, reach more goals and find more success. This balance can help us create a healthy life and result in more happiness in both aspects of the balance.